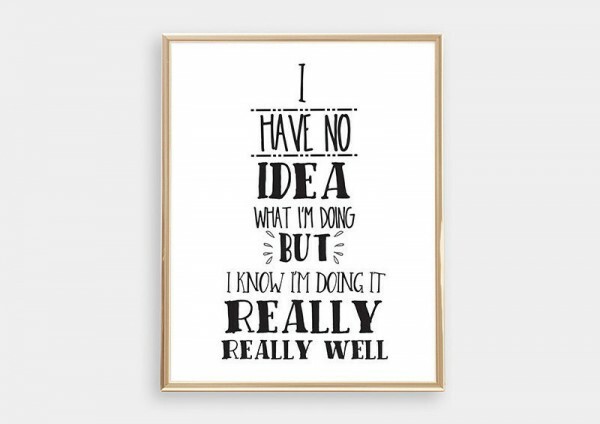 We’ve searched the aisles of Etsy to find five fantastic prints that celebrate the realities of parenting perfectly. Tape them straight to the fridge or frame them with pride, there’s a print for for every family. 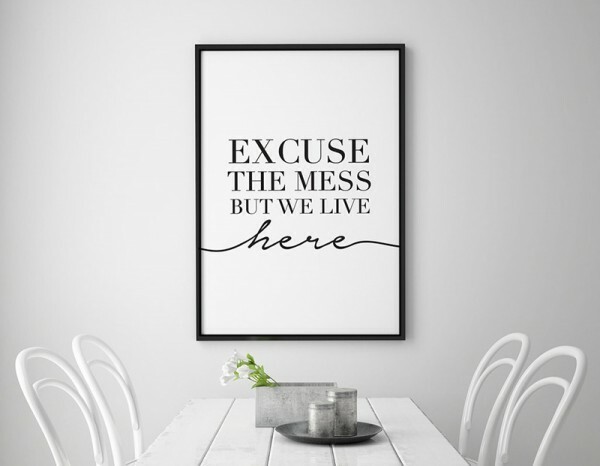 First cab off the rank, an oldie but a goodie – the Excuse The Mess But We Live Here print. After all, we all know what a day inside entertaining young children looks like. Lift your feet because Lego wounds hurt! Available at Lovely Posters and priced from $15. Eat, sleep, poop pretty much captures the reality of those fog-filled newborn early days. 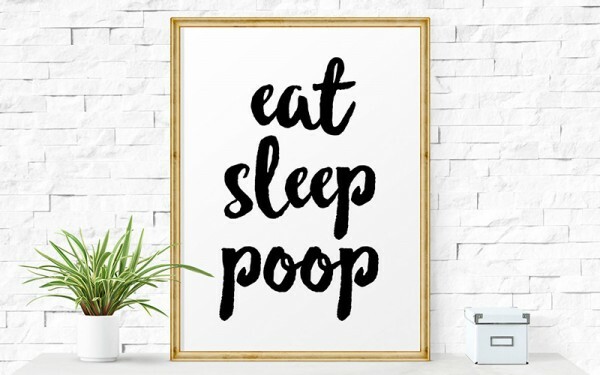 The Eat Sleep Poop print is available as a digital download for a song – just $2 at Funny Fox Printables. 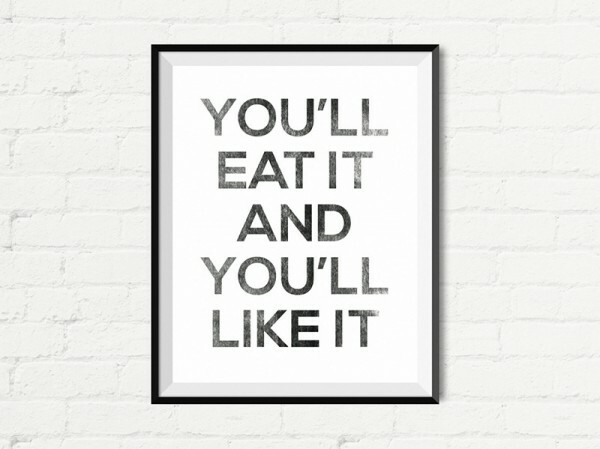 And here’s one that comes out of my mouth all the time; the You’ll Eat It And You’ll Like It print. Available as an instant download for $10 at Curly Bracket Design, you can print it before dinner is even on the table! From The Moose and Goose, this gorgeous I Have No Idea What I’m Doing print. Let’s face it, many of us fumble our way through this parenting journey. If the kids are happy and we all make it through the day unscathed, we’re doing a great job. Available as a digital download for just $3.50. And for everyone who knows the iron will of a toddler, this print will bring nods of agreement for sure. May Your Coffee Be Stronger Than Your Toddler print, (pictured at the top) $5 for the digital file at Drop of Sun Prints.